United States Rep. Mike Coffman, R-Colo., 6th District, waves to supporters after delivering his concession speech during an election night party in Lone Tree, Colo., on Tuesday. DENVER — Five-term Republican U.S. Rep. Mike Coffman blamed his defeat in Colorado on resentment toward President Donald Trump — but Trump is offering no sympathy and accepting no responsibility. “Too bad, Mike,” Trump said at a news conference Wednesday. 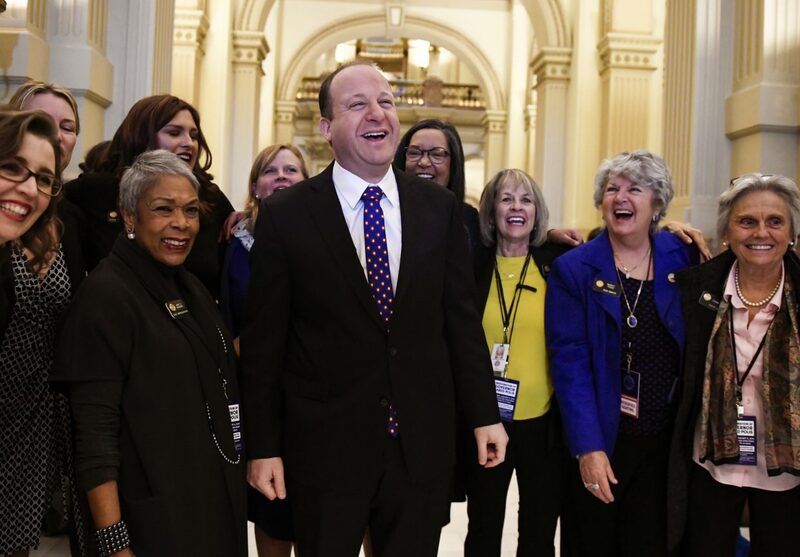 Coffman had held the suburban Denver district for a decade, holding off a series of Democratic challengers as the district turned more liberal and diverse. But dislike of Trump and mistrust of the GOP’s immigration policies proved too much this election, Coffman said after losing to first-time Democratic candidate Jason Crow on Tuesday. In his concession speech, Coffman remarked on the shifting demographics of his district, where one in five residents was born outside the United States. He said spending time with diverse communities made him a better congressman and a better person. Coffman softened his position on immigration but said he could not overcome immigrants’ mistrust of his party. “They believe that Republicans aren’t simply against illegal immigration but they are against immigrants,” he said. 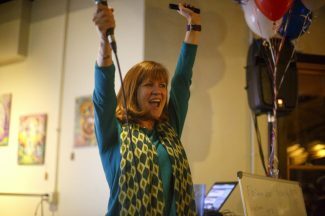 Three other incumbent Republican congressmen won re-election in Colorado, but the rest of the state was trending blue. 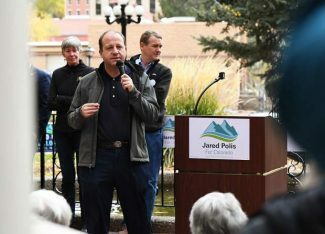 Democrats held on to the congressional district now represented by Jared Polis, who was elected governor, keeping the office in Democratic hands. Democrats won the secretary of state and state treasurer’s offices and were leading in the race for attorney general. All three offices are now held by Republicans. Democrats also were on track to take over the state Senate from Republicans and expand their majority in the state House. Coffman’s seat was one of more than two dozen that Democrats took from Republicans on Tuesday as the GOP lost control of the U.S. House. The telegenic Crow, an attorney, was the choice of national Democratic leaders to challenge the incumbent. Both candidates are veterans: Crow is a former Army Ranger who served in Iran and Afghanistan, and Coffman is an Army and Marine veteran who served twice in Iraq. Crow campaigned on his differences with Coffman on gun control, health care and immigration. The Democrat called for expanded background checks on gun purchases and restrictions on high-capacity ammunition magazines, proposals that resonated in a district where a gunman opened fire in a movie theater in 2012, killing 12 people. The district also abuts Columbine High School, where two students killed 13 people in 1999. Coffman opposed blanket gun restrictions but advocated for mental health and school safety measures. Crow assailed Coffman for voting for the GOP tax measure that revoked tax penalties for those who don’t buy health insurance. It was a key provision of former President Barack Obama’s health care law, which Crow defended as a first step toward his goal of universal health care. Coffman was booed at town halls last year for insisting that the health law be repealed, though he eventually voted against the GOP effort. He insisted that any replacement legislation guarantee coverage for people with pre-existing conditions. 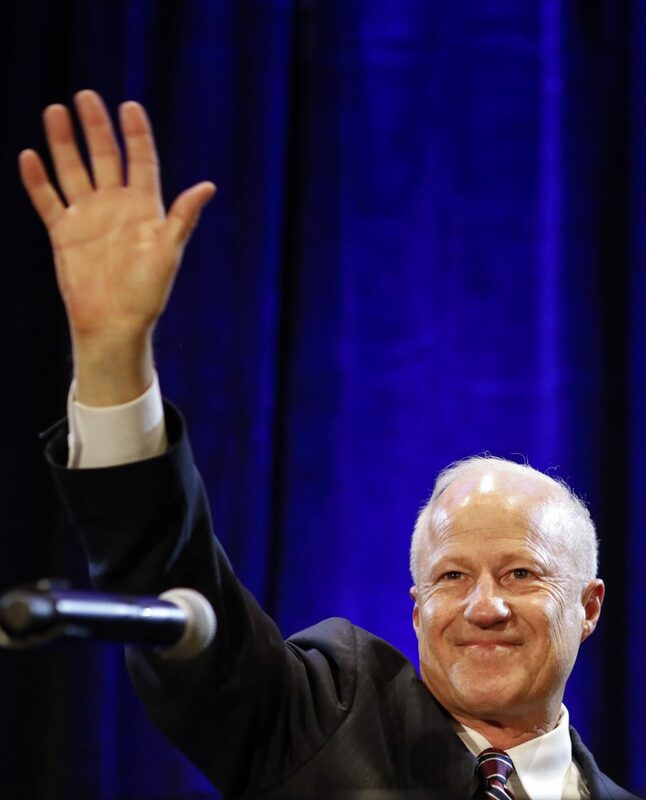 Coffman cited his longtime advocacy for veterans, his military service and his occasional bucking of the GOP to try to persuade voters to keep him. Crow depicted him as someone no longer able to act as a check on Trump and the Republican Party. Voter Darnell Driskell said Trump was a big factor in his decision to support Crow. Jeff Johnson, who voted for Coffman, said Trump didn’t figure into his choice. Johnson said he considers himself a conservative, not a Republican, and he votes for candidates who support his values. Coffman also lost the crucial fundraising battle. With the support of gun control groups, Crow raised more than $5 million, while Coffman collected $3.4 million. Big Republican donor groups pulled out of Coffman’s campaign to focus on races they saw as more winnable, and he was outspent 3-to-1 on the airwaves. “You sent a message that democracy is alive and well in America and that you will not be silenced,” he told supporters. Crow was more conciliatory than jubilant, praising Coffman as a hard worker who served his country with honor. “Mike Coffman and his supporters are not our enemies. This is politics, not war, and I will never stop trying to find common ground wherever I can,” he said.